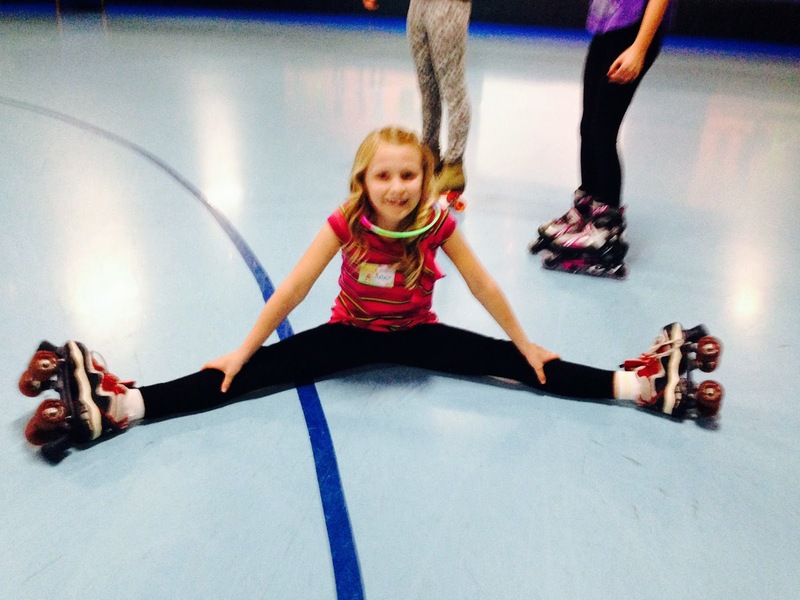 Natalie's 9th birthday was approaching. I love making my children's birthday cakes. 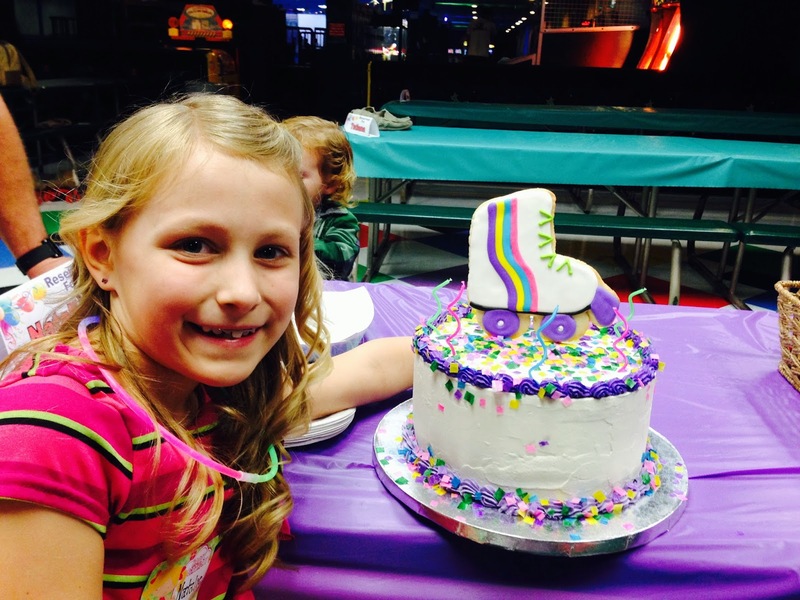 I asked her what she wanted this year and she very decidedly gave me a list of requirements for her cake this year: "Mom, it has to have purple, it has to have roller skates, and I really want that colorful paper stuff that people throw at Mardi Gras." 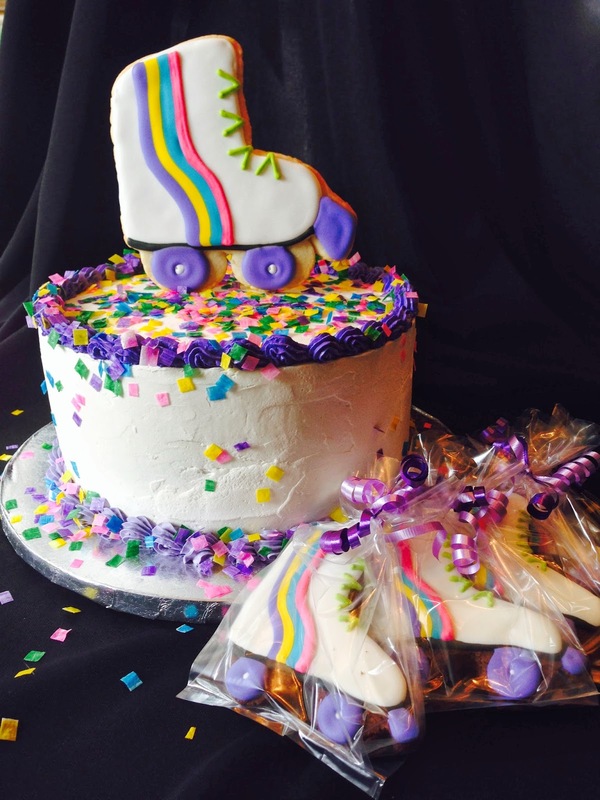 I made her guests some roller skate cookie favors and colored some rice paper with colored edible markers to make her some confetti. I topped the cake with a giant decorated sugar cookie. 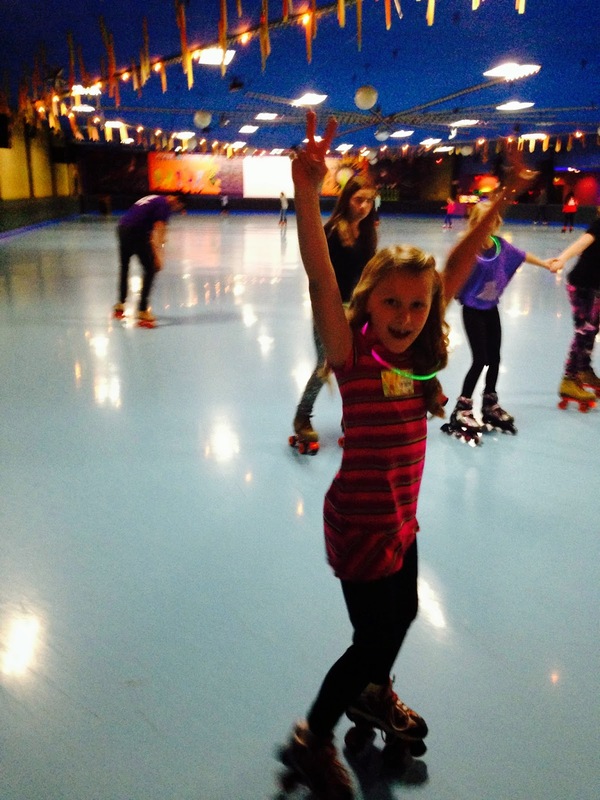 Nat had such a great time at her roller skate party! When the party was nearing an end, we gathered around Nat and sang "Happy Birthday" to her. Then the funniest thing happened. She blew out her candle and confetti flew everywhere! We all laughed. What a great day. I love this kid. Rosie's Birthday Party looks outstanding. I really love these decorations and omg that cake is so chic. We just hosted the birthday bash of our son at the garden themed event space San Francisco. It was an awesome party. They just offered such fantastic services on a budget.